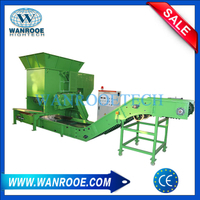 Compacted Design Single Shaft Shredder from China Manufacturer - WANROOE MACHINERY CO.,LTD. 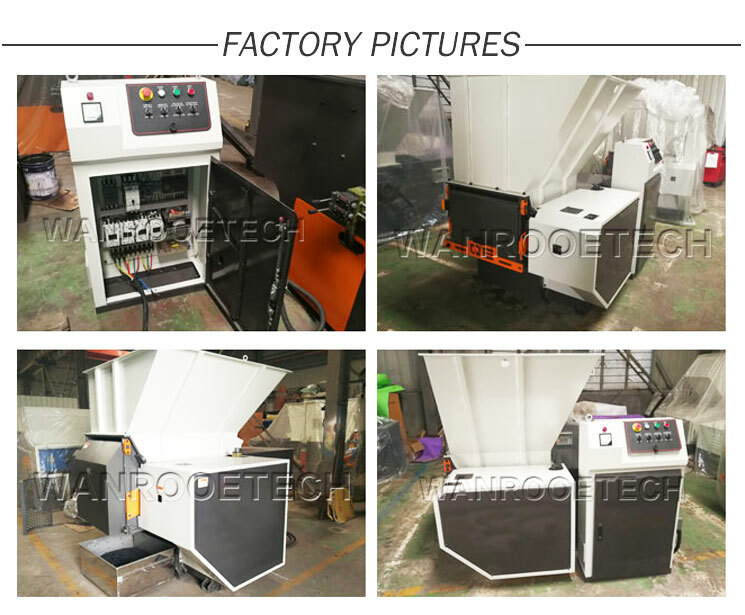 The PNDS Single shaft shredder uses the interaction of movable cutter heads and fixed knives to tear, cut and extrude the material into small size. 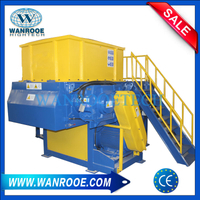 It can be available for shredding a wide range of materials including plastic, wood, rubber, and paper etc. 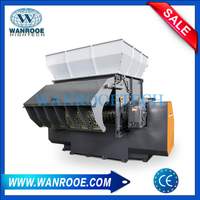 The cutter head is consists of basic shaft and pieces of quadrangle cutter. There are four edges which are easy to change. 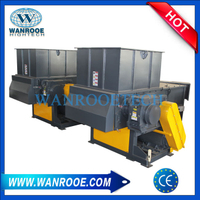 ‘V’ shaped rotary cutters are fixed on single shaft. 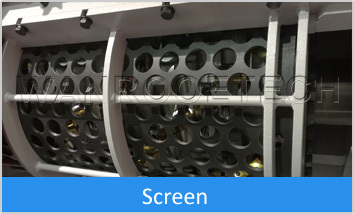 The fixed cutter is mounted at an angle in adjacent to rotary cutter to achieve better cutting. 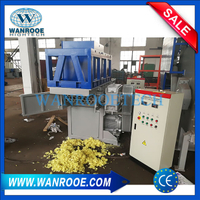 The material is grabbed between 'V' shaped rotary cutters and fixed cutter shreds repeatedly. 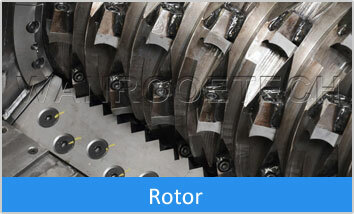 During the grinding process, the evenly cutting, saving of energy and reducing of noise are ensured by the installation of 'V' shape rotor knives. 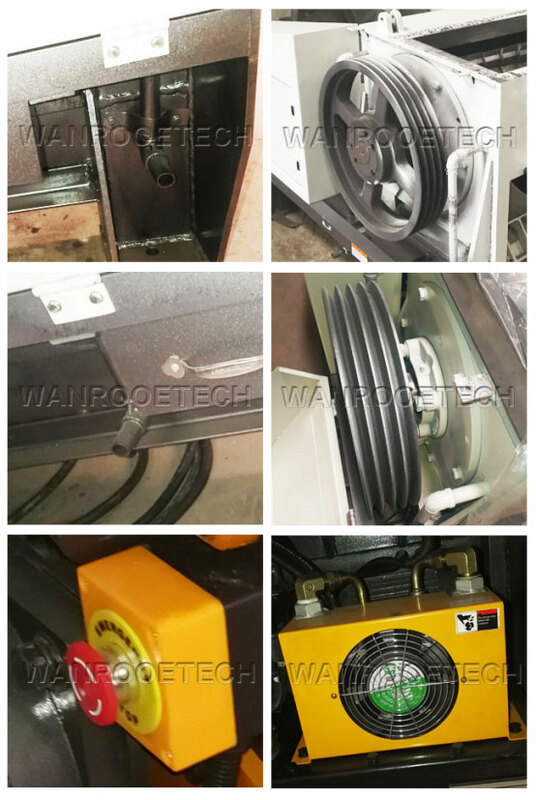 Also the knives are very easy to install and remove. 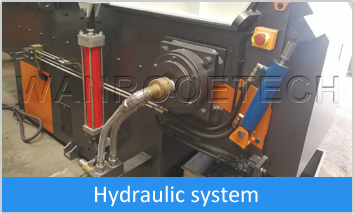 The motor drives the shaft to make knife rotates in high speed, the material are put to between the knife shaft and fixed knife, the materials are shredder, the qualified size will discharge from the screen mesh, the oversize material will be send back for re shredding. 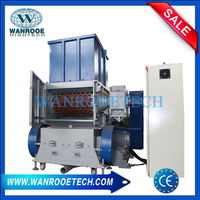 The final product size can be adjusted by changing the final product size. 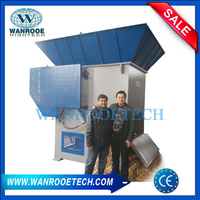 Integrate oil / air cooler: Maintain the temperature for continuous operation. 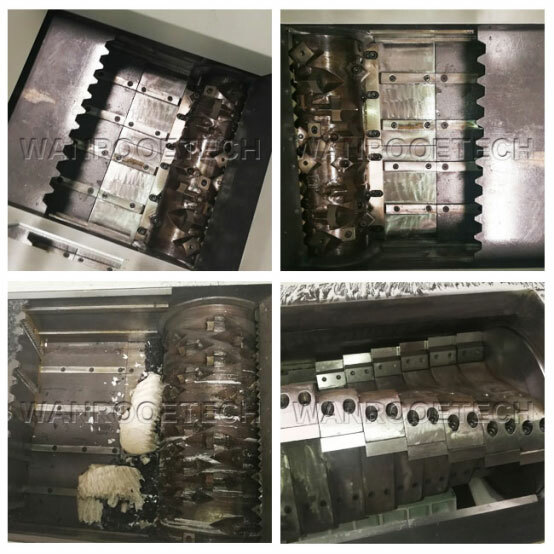 V type rotor design, energy efficient and maximum cutting force， Knives are made of imported material D2 through special manufacture process and heat treatment,the knives become more durable.Adjustable knives can be rotated and based on four edges before replacement. 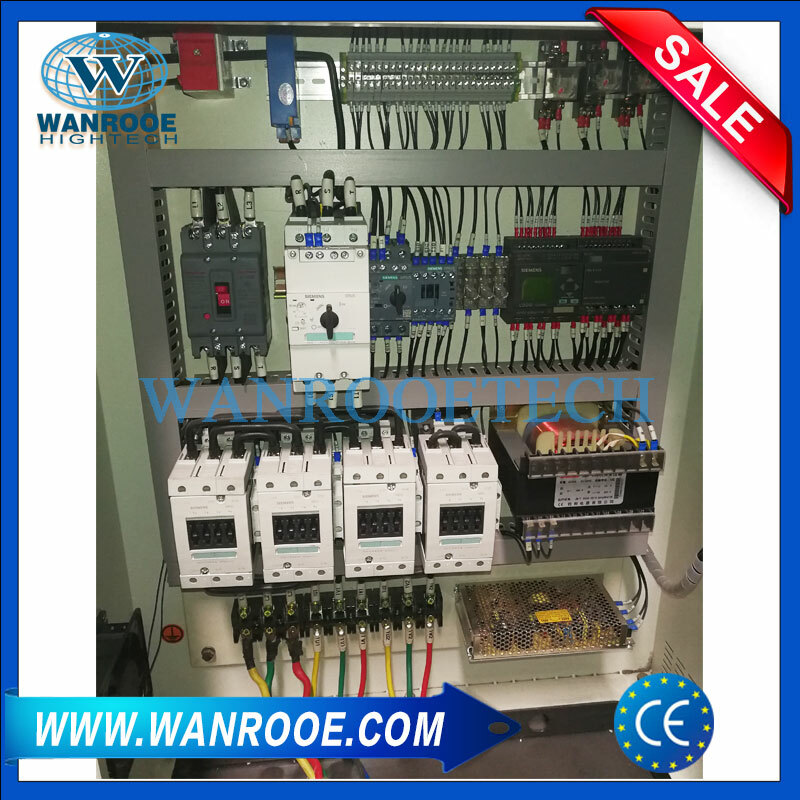 Equipped with independent and reliable electrical control panel like SIEMENS PLC control system, DELIXI contactor, SCHNEIDER electric etc. 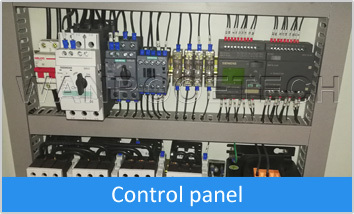 Manual & automatic operational modes to choose,quite flexible and safe. 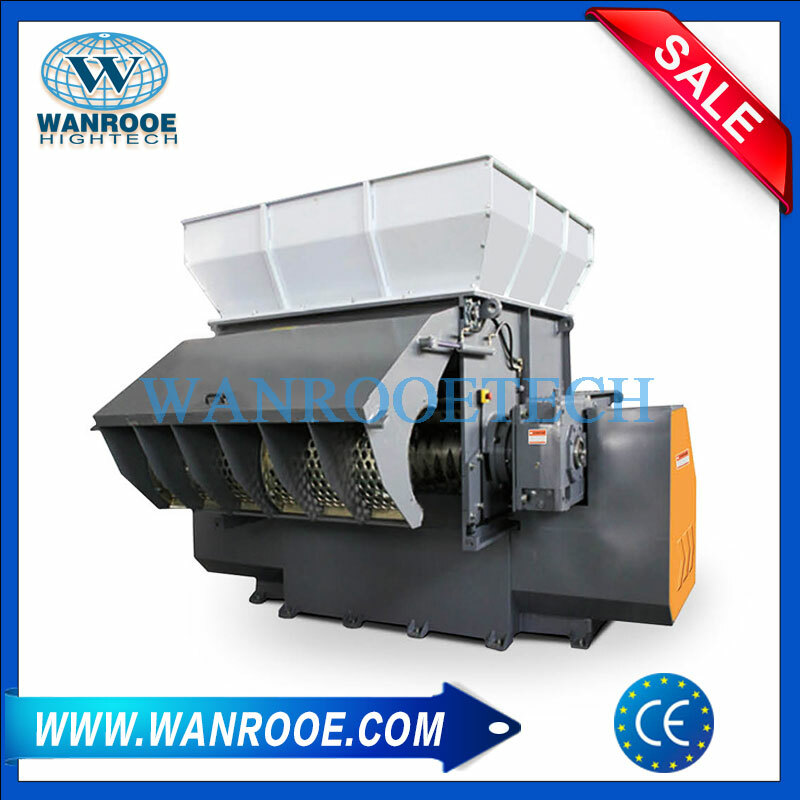 The shredder of this series has the motor overload protection. 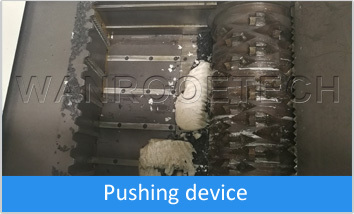 Pushing the material automatically to the shredding rotor while working. 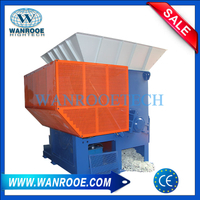 More efficient and can achieve a high capacity. 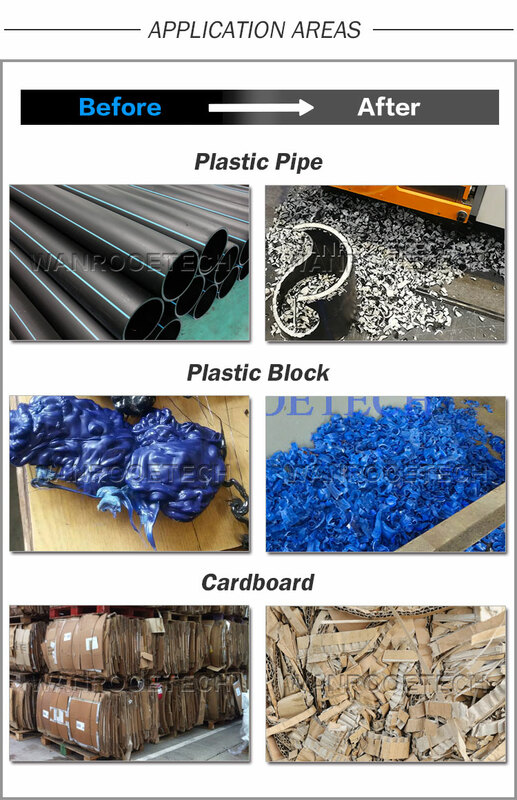 According to material kind, can adjust the pushing speed to avoid overload. 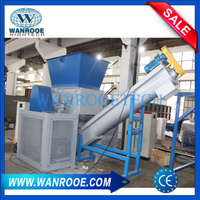 various screens can be chosen for different shredding requests and materials. To keep operator safe,machine will automatically stop when its screen is opened. 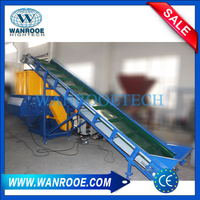 Screen for heavy mahine is made by sections in order to keep its con-venient change and maintenance. 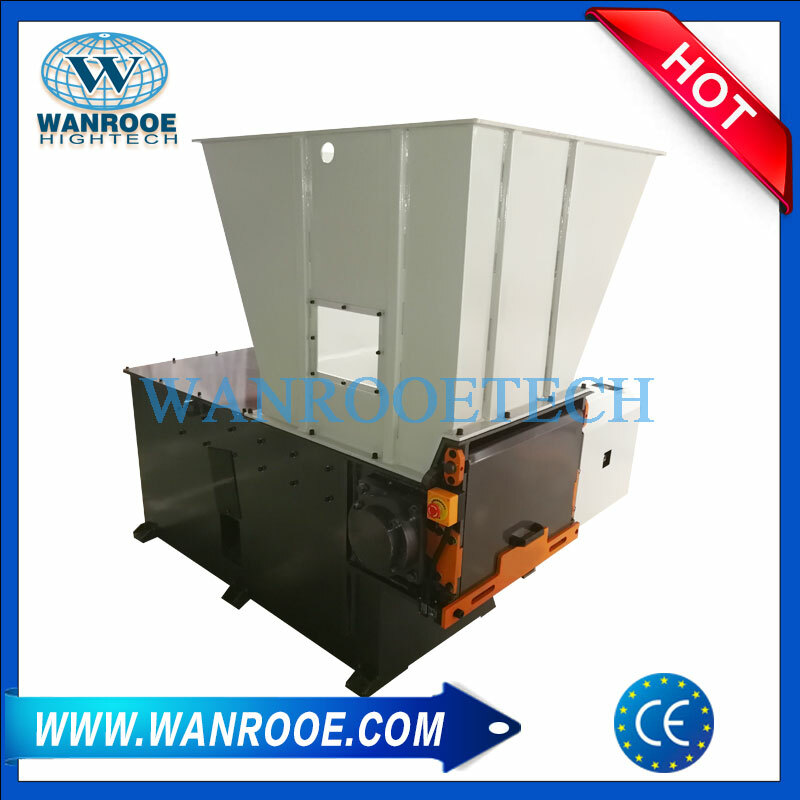 1.The shredder single shaft for plastic with big feeding mouth, it can put the big plastic or rubber product freely. 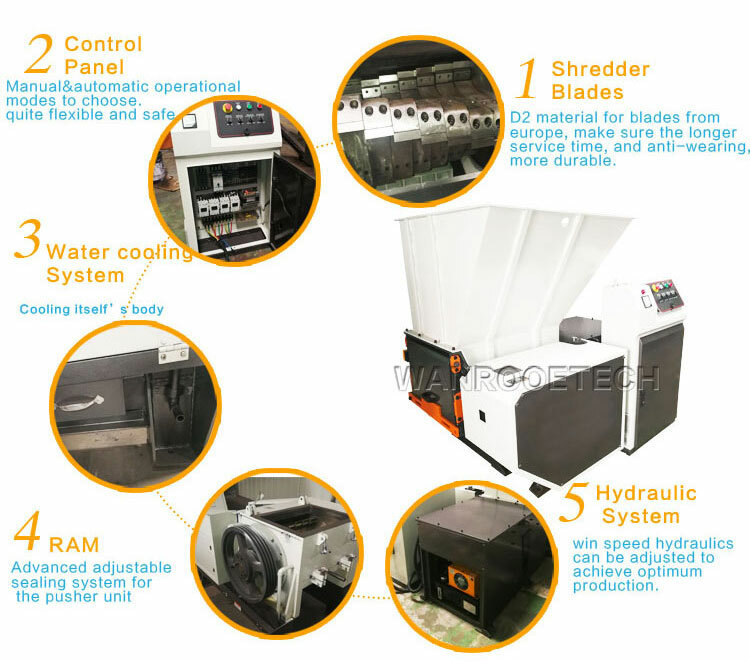 2.The rotary and cutting blade with edge of special design, it can get very high efficiency and high capacity. 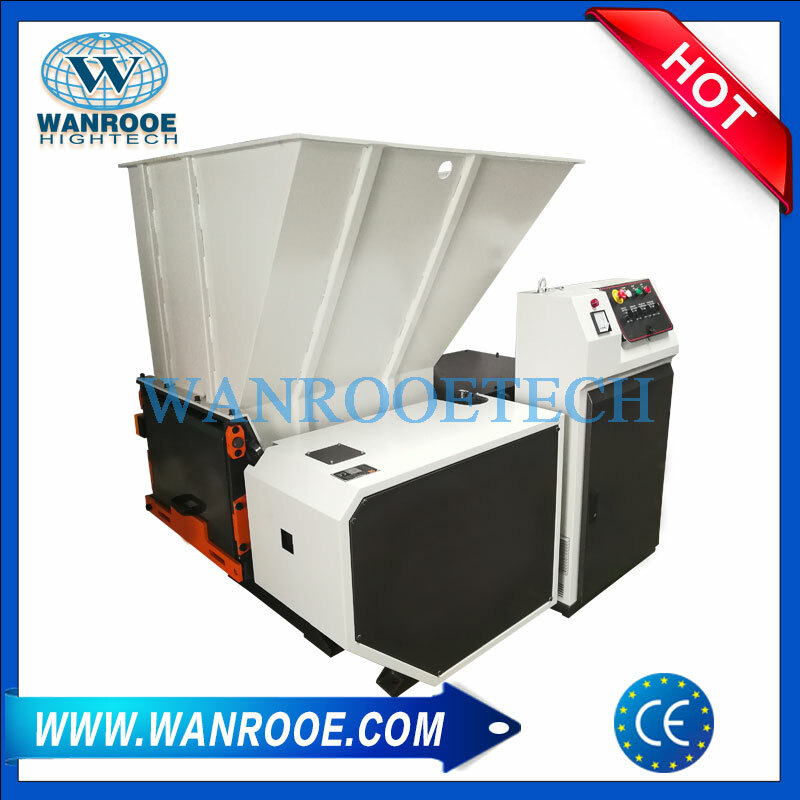 3.The shredder single shaft for plastic is control by PLC system; the blade can rotate inopposite direction and close automatically if something unexpected happens; with very high safety service. 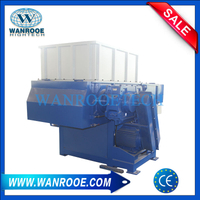 4.The shredder single shaft for plastic runs slowly with low noise and less dusty. 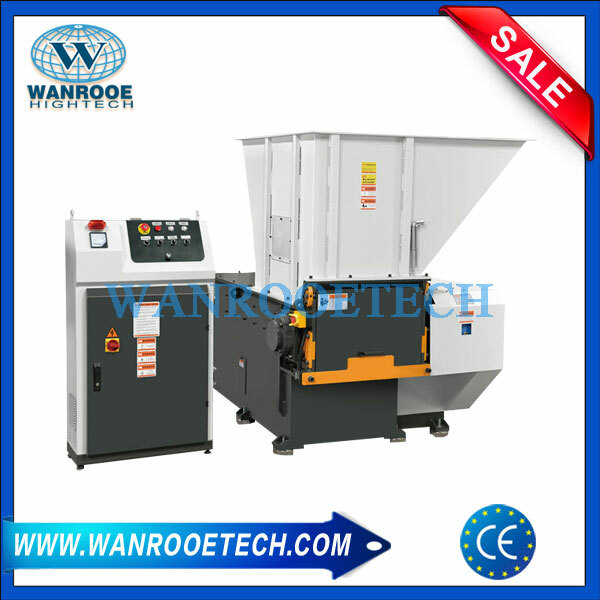 5.The blade material with special alloy steel made, with long life. 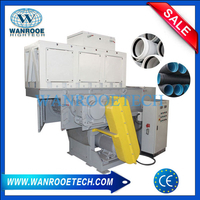 6.All the machinery and electrical devices are protected in accordance with the European CE standard. 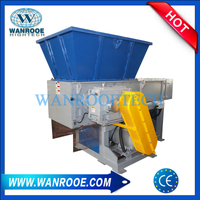 Why We Need Double Shaft Shredder for Metal Drum Recycling? 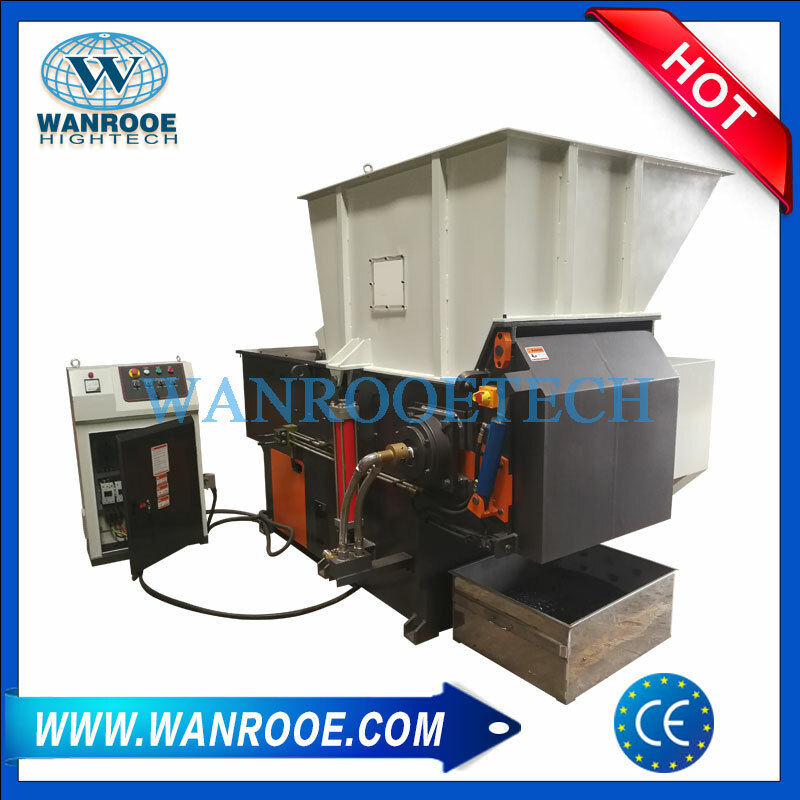 How to buy a Metal crusher?